Boy 2018 was a really busy year and I was so fortunate to be able to work with so many wonderful people! In addition to personal projects like old age makeups, vintage alien, punk pig, and all of the lovely bodypainting portraits, I also able to take part in our many public events here in Missoula, Montana. For the Wild Walk in April, I created the Monkey King. For several of our First Friday Art Walks, I took part by making live body painting performance. In July, I turned my willing husband Barry into a creature at the World Bodypainting Festival in Austria. In August, I was fortunate enough to be able to do 2 live bodypaintings and a creature makeup at the Seattle Tattoo Expo. 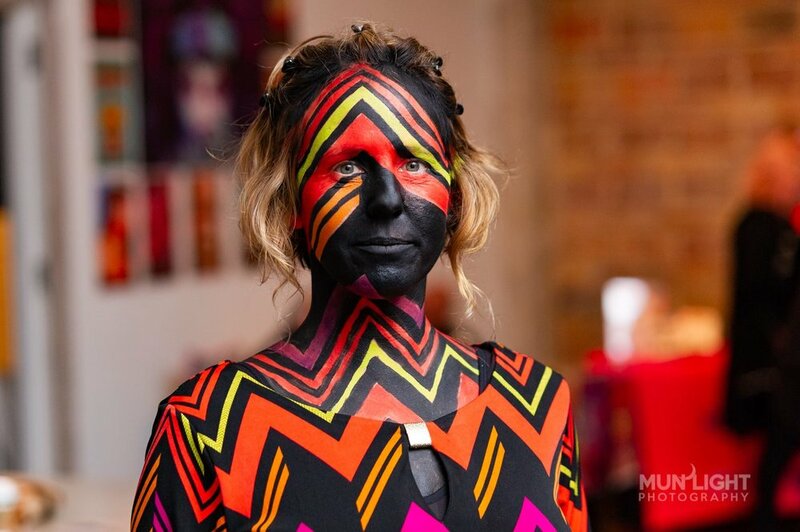 In November, I participated in the Beyond The Canvas bodypainting competition in San Antonio Texas, and the year was wrapped up by a lovely article in the Missoulian newspaper about one of my performance paintings. It was all so much fun, and I can’t wait to see what’s coming up for 2019! !